We’re excited to introduce our unique digital spectacles / eyewear, FUN’IKI Glasses. You will feel liberated when you know you just received a message or a schedule reminder without needing to constantly check your smartphone.. FUN’IKI Glasses are linked to your smartphone, and their multicolored LED lights + sound signals from their micro speaker will notify you of numerous information without you ever taking any action. No more hassle of checking your smartphone every single minute and they look cool. We believe that FUN’IKI Glasses will be a part of your daily life in the most seamless way. The whole of the lenses light up thanks to the full color LEDs built-in to the frame. They can be customized to light up using your favorite color or pattern depending on the type of notification being triggered. The colorful light of FUN'IKI Ambient Glasses enriches the facial expressions of the person wearing them. They can be enjoyed as an additional accessory or as part of your makeup in order to lighten up your own feelings or the atmosphere of the area around you. FUN'IKI Ambient Glasses can be used for long periods of time without causing tiredness; they blend themselves naturally into your daily life. We have chosen the best design for delivering essential information to our users: a simple design that looks much like any ordinary pair of glasses. From all that surrounds us, we have identified the type of information that would be valuable for everyday life, selecting components that would be the most reliable for implementing notifications. We have successfully managed to control the large number of LEDs and sensors fitted into the glasses ―many more than most existing wearable devices on the market. We have also worked to create a careful design, both in terms of structure and electronic circuitry, so as not to cause any detrimental effect to the glasses in terms of their beauty and natural look. 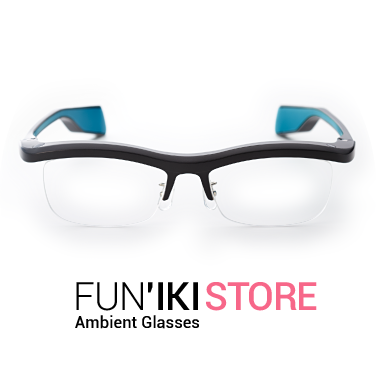 FUN'IKI Ambient Glasses are available in four different colors to match the diverse personalities of our users. The two-tone colors that light up the inside and outside of the frame will give you freedom to express your style even more. Glasses can have a significant impact on the impression that you give to others, so much so that glasses can almost be considered as part of a person’s face. We have aimed to create a frame design that shows expressions naturally and beautifully when seen from any angle. Link your FUN'IKI Ambient Glasses with a special application to convey useful information using light and sounds. Settings for light and sounds can also be customized from a great variety of available patterns. The app provides a great variety of functionality such as a timer, tempo guide, and more. Illumination Mode allows you to use a color picker to change the color of the LEDs. And of course, FUN'IKI Ambient Glasses also allow you to check the amount of remaining battery, as well as its communication signal status. 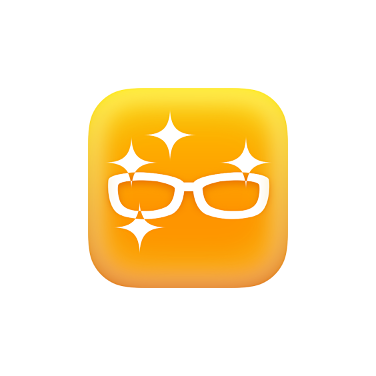 The glasses connect to your smartphone to receive various notifications. Through lights and sounds, they inform you of new emails, social media updates, schedule reminders, and movements in stock prices. It is even possible for users to personalize the light and sound patterns themselves. Using the Timer and or Tempo Modes, you can customize the light and sound patterns. It is also possible to light them up in Morse code by simply using the Morse Code Mode, and inputting the desired message in text. There is a deficiency in the entry contents. Please check the following items. A name has not been entered. E-mail address has not been entered. E-mail address is invalid. Please fill in a valid email address. I failed to send mail. Sorry to trouble you. please try again from the beginning. We've received your inquiry. Thank you all! First developer event "FUN'IKI Developer Meeting" will be held. “FUN’IKI App” available on the Google play store!! 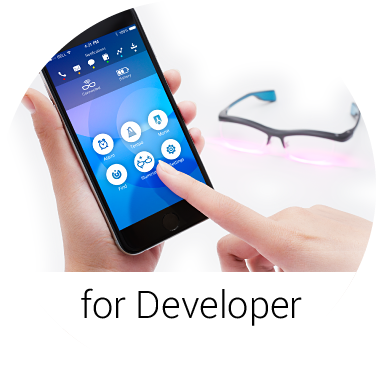 SDK has been updated, we newly publish Module Developers Kit (MDK). © FUN'IKI Project. All rights reserved.